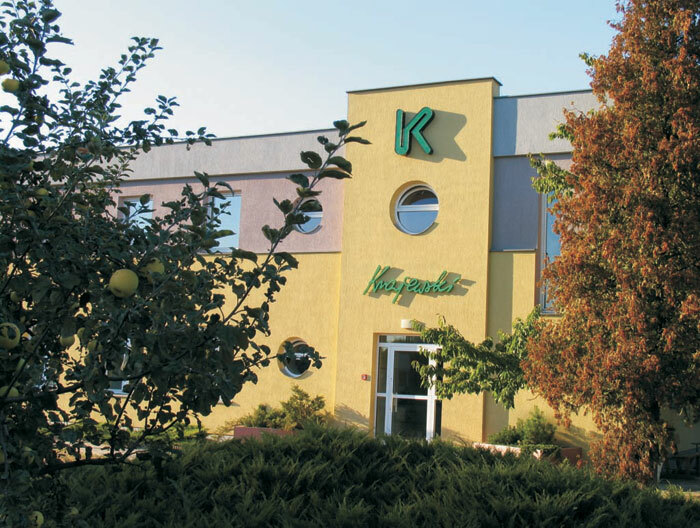 "KRAJEWSKI" company was founded in 1988. We produce weaving and knitting yarns. We have entered foreign markets, and now we are a recognised yarn producer in Europe. Knowing that the quality of our products and services is the basic factor of solid success and company’s development, we tend to deliver only those products that meet our customers’ requirements. We are an PN-EN ISO 9001-2001 certificate company (which is identical with ISO 9001-2000) certified by Polish Centre for Testing and Certification. From the very beginning "Krajewski" company has specialised in production of textured polyamide and polyester yarns for knitting industry. Located in Sochaczewska street spread fast, adapting for its needs neighbouring buildings of companies that were liquidated in the meantime: Lodz Poultry Mill and Craft Co-Operative "Art of Lowicz". Saved from devastation, the oldest buildings of Lodz Poultry Mill date their existence from 19th century, when the dried vegetables production was established there, as one of the first agricultural processing mills in town. Also the works of Craft Co-Operative “Art of Lowicz” are a significant example of art history, participating in cultural promotion of the town and region. Now the craft has returned where it origins from; to the country, to the home workshops of its creators. Buildings of co-operative, deserted in the 90s, now are full of life again and secure citizens’ of Lowicz employment. Nowadays, "Krajewski" company is an accredited knitting yarns producer, offering polyamide, polyester, cotton, and elastomer: covered and intermingled, and also acrylic yarns. Those yarns are used in production of knitted fabrics, socks, tights, haberdashery, professional sports clothing and wound dressing materials. Textile raw material for those yarns is being machined: twisted, covered and textured. The main Polish supplier of the raw material is “Elana”, but a lot of material comes from abroad as well. As a trade company, we offer a wide range of knitting articles constantly available for sale. Depending on our customers’ needs they can be bought either in our mill, factory outlets situated all over the country or by making an order - delivered directly to desired place of destination. We offer you professional and customer friendly services. We provide a complete range of knitting articles constantly available for sale. We guarantee punctual and constant deliveries. We always tend to complete our clients’ special orders. We invite our customers to co-operation which enables us to offer technical and economic solutions resulting in creating best quality products involving minimum production costs. raising constantly our crew’s qualifications.